In 1970, Mario Bava would return to familiar ground with HATCHET FOR THE HONEYMOON, the story of wedding designer who hacks apart his brides as a result of his own damaged childhood. While Bava would make an additional eight films before his death in 1980, including the influential A BAY OF BLOOD in 1971, HATCHET FOR THE HONEYMOON stands out as an apt summary of Bava’s style as a director. The film’s self-reflexive commentary on the giallo allows Bava the opportunity to reflect on the genre he helped create, while the film’s mixture of psychosexual violence and gothic horror allow him to demonstrate his established range as a visual director. In one scene, a character sits down to watch another Bava film, 1963’s BLACK SABBATH, linking HATCHET back to the beginning of Bava’s career. But HATCHET is more than just an exhibit in a Mario Bava auteur study. Anchored by lead Stephen Forsyth, HATCHET FOR THE HONEYMOON emerges as a wickedly funny giallo and one of Bava’s finest films. Forsyth provides HATCHET with something missing in many of these films: a likable protagonist. 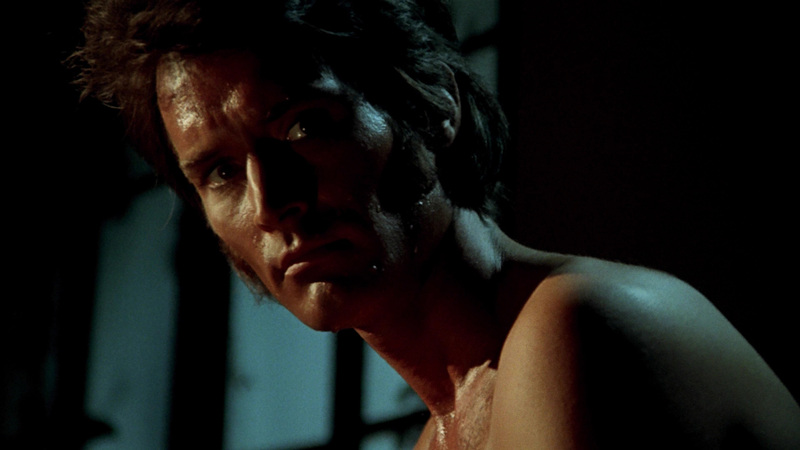 We spend enough time with Forsyth’s John Harrington to understand his complex feelings of exhilaration and guilt when he kills; whereas most gialli depict their killers as acting out against an unearthed childhood trauma, Harrington kills with the hope that he can jar loose his own blocked memories, giving us a giallo that is less whodunit than whyIdunit. With a lean form that draws comparisons to Eastwood and a sense of humor sorely missing from the genre, Forsyth seemed poised to be a leading man in popular Italian cinema for years to come. Instead, he quit acting entirely, choosing to return to his primary interests as both a composer and a multidisciplinary artist. You can view a collection of his photography and music videos at his personal website; you can also check out the event page for his most recent gallery at the Centre for Contemporary Photography in Toronto. 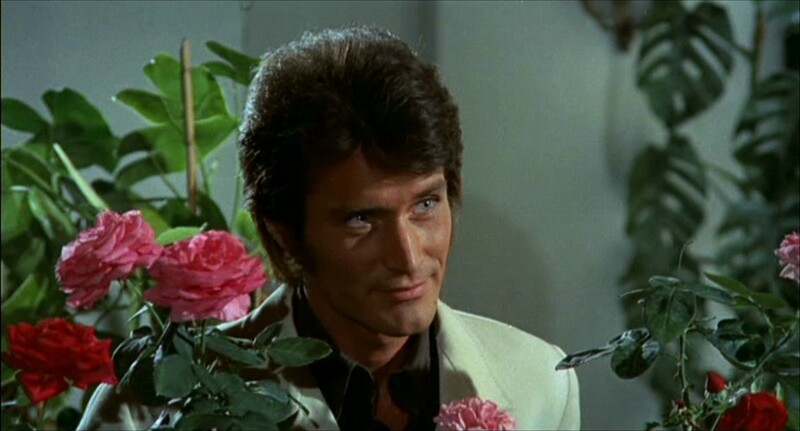 To conclude Daily Grindhouse’s Giallo Week, we are excited to share our interview with Stephen Forsyth as he reflects on his acting career in Italy, working with Mario Bava, and the legacy of HATCHET FOR THE HONEYMOON. Daily Grindhouse: How did you come to work in the Italian film industry in the 1960s and 1970s? Stephen Forsyth: While working in Paris as a singer/songwriter, I took what I thought would be a short vacation to Italy. While in Rome at a cafe on the Via Veneto. I was approached by a photographer who asked me if he could take my photograph to send to Gillette because they were looking for someone to do their print ads and television commercials for Europe. I ended up with an exclusive contract with Gillette. I hired an acting agent and on my first appointment, which was with the film director Riccardo Freda, I was offered the lead in a film he was about to shoot. Before starting to shoot the Freda film, I was offered another part in a romantic comedy which was a big commercial success and a big boost to my movie acting career. What interested you in HATCHET FOR THE HONEYMOON? I fortunately had the opportunity to do a variety of films ranging from historical period drama, westerns, political drama, romantic comedy, Eurospy and psychological thrillers — which kept things interesting. I found the HATCHET script intriguing and I knew Bava was a good friend of Riccardo Freda, with whom I had done two films, so I took the job. Mario Bava already had an international following by the time you started shooting HATCHET. Did you enjoy working with him? Any stories or anecdotes that stand out? I wasn’t aware that Bava had an international reputation when I worked with him. I never had a conversation with Mario regarding the character or interpretation of John Harrington. He left that completely up to me. When shooting, Bava would painstakingly set up a scene (sometimes for most of the day) and once done, he trusted and expected me to come in for a few minutes and do my thing. The setups were quite complicated, often requiring hitting many marks accurately while performing sometimes very long takes. As a rule, there was a walk-through and never more than one take. I remember after shooting for a couple of weeks and not having received any feedback from Mario, I asked him if he had any suggestions for me, and he simply said he would tell me if he did. He never did. A common criticism of the giallo is its one-dimensional protagonists and killers. John Harrington, on the other hand, is someone who is both wickedly funny and very sympathetic. How did you make Harrington more than “just another killer”? There was nothing literal about the character of John Harrington. I never looked at him as being evil, but as disturbed and lost in his own psychodrama, kindly and destructively hiding in the past and trying to destroy the present to maintain an even keel for his insanity. He was sympathetically deranged, and not to be taken literally. It is only in the last scene of the movie, as he is being taken away in the paddy wagon with the presence of his wife’s ghost, that he is caught up in the real horror of his existence. Since you retired from acting, audiences have gained a new appreciation for so-called “Spaghetti” Westerns and gialli. How do you feel when someone recognizes you from IN A COLT’S SHADOW or HATCHET FOR THE HONEYMOON? In my life after film, few of my acquaintances know about my film past. It was only last year, when HATCHET was re-released on Blu-ray, and Fangoria Magazine had a showing in a Toronto cinema, that the cat got out of the bag. I kind of prefer my anonymity. Have you watched HATCHET FOR THE HONEYMOON recently? Has it withstood your own personal test of time? Because HATCHET fell into public domain, it resulted in numerous sub-par releases on VHS and DVD and in spite of it becoming one of Bava’s most widely seen titles, I found it unwatchable. Watching the newly remastered version of it on a big screen at Fangoria Magazine’s showing last year was interesting. I was finally able to appreciate the visual beauty of the work, and even though I find it hard to watch myself, I found it to be surprisingly timely and captivating. Sincerest thanks to Stephen Forsyth for his time, thanks to the unparalleled Matthew Monagle for making Giallo Week happen, and thanks to you the reader for joining us!